New York Governor Andrew M. Cuomo has announced a series of comprehensive regulations to prevent the practice of so-called lesbian, gay, bisexual & transgender “conversion therapy”. New York joins five other states that have passed legislation to protect LGBTQ youth from this ridiculous dangerous practice that has been deemed harmful to patients by a wide variety of leading medical & mental health professionals. New York will now ban public & private health care insurers from covering the practice in New York State & finally also prohibits various mental health facilities across the state from conducting the practice on minors. Samantha Ames, National Center for Lesbian Rights #BornPerfect Campaign Coordinator & Staff Attorney stated, “We could not be more grateful to Governor Cuomo for standing up to the conversion therapy industry today & protecting LGBTQ New Yorkers from these dangerous & discredited practices. The regulations announced today are historic, not only representing the first time a governor has taken executive action to protect youth from conversion therapy, but also ensuring that protection doesn’t stop when they turn 18. Thanks to the tireless advocacy of survivors, mental health professionals, faith leaders & youth advocates in New York, we are one step closer to finally closing this cruel chapter of our history. 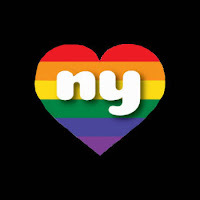 We look forward to other states following Governor Cuomo’s leadership and working together toward the day all LGBTQ children know they were born perfect.” California, New Jersey, Washington D.C., Oregon & Illinois have passed legislation to protect LGBTQ youth from “conversion therapy” with leaders from several other states planning introduction of similar legislation in the 2016 legislative session.